The 128-piece Transpara-Bricks from ECR4Kids help little ones develop hand-eye coordination, spatial thinking, and creative problem-solving skills. The Transpara-Bricks enable children to snap multiple pieces into place to create shapes, animals, and more. Manipulatives help children learn math skills while sorting, counting, designing, and constructing. Combine the transparent manipulatives with a light table (sold separately) and see the colors come to life as the light shines through. 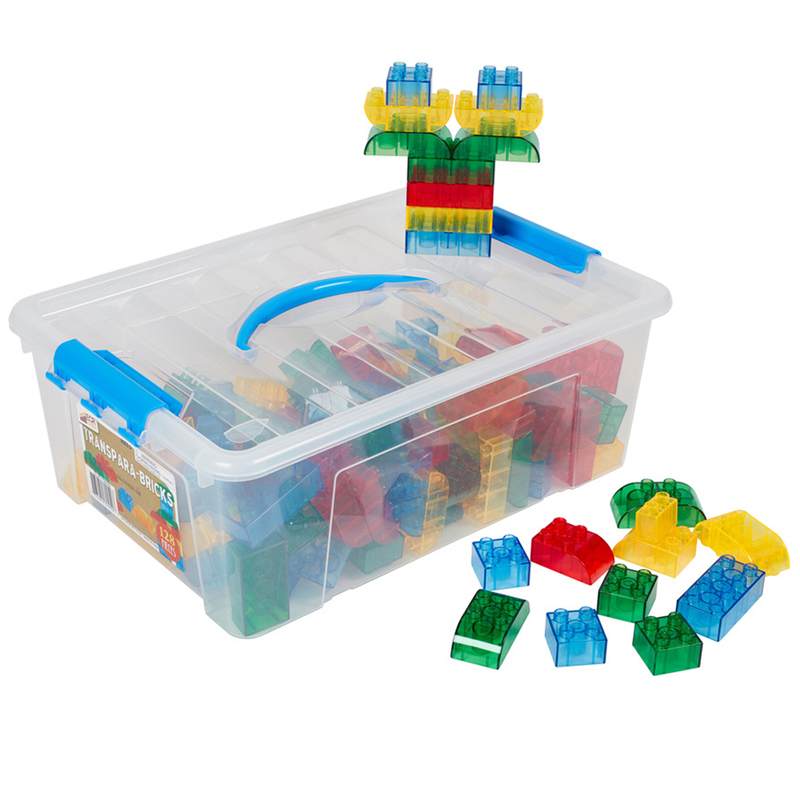 This manipulative set comes in a durable clear plastic bin with lid and a convenient handle to move from room to room. Intended for children ages 3 and older.